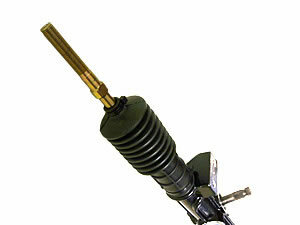 elise-shop.com has teamed up with a number of respected suspension / steering engineers to develop this steering rack. Besides reducing bump steer, we've particularly looked at improving reliabilty while keeping the same steering ratio. Our elise-shop.com steering rack has a 2.7 turns lock to lock ratio, which is identical to the OE-rack. This will massively improve durability of the racks! We don't require any exchange or surcharge!